Since launching in 2012, Wisconsin-based Gener8tor has held training programs for entrepreneurs whose startups represent a wide range of industries—everything from online food ordering to weather technology to subscription services for wine and pet food. But as Gener8tor has expanded into new markets—the list of states where it’s held accelerator programs or plans to soon now also includes Minnesota, Michigan, Indiana, and Ohio—the organization is showing more interest in the industries that drive lots of local economic activity. The latest example is Gener8tor’s accelerator in the Minneapolis/St. Paul, MN, area for healthcare technology startups, which it announced on Monday. The program is the newest version of gBETA, Gener8tor’s seven-week, equity-free accelerator for companies with local roots. gBETA Medtech has already enrolled its first class of startups. (See below for company descriptions.) All six of the participating businesses are headquartered in Minnesota, Gener8tor says. The organization says it plans to hold gBETA Medtech three times a year. Gener8tor says Boston Scientific (NYSE: BSX), Mayo Clinic, and the University of Minnesota are providing funding and program support for gBETA Medtech. The university’s technology transfer arm previously partnered with Gener8tor to help fund an industry-agnostic version of gBETA in Minnesota, which has thus far graduated two classes of startups. Boston Scientific has offices in the Twin Cities suburbs of Maple Grove and Arden Hills. Adam Choe is the director of gBETA Medtech, Gener8tor says. According to his LinkedIn profile, Choe’s career experience includes stops at St. Jude Medical and the University of Minnesota’s medical devices center. St. Jude Medical, which was headquartered in St. Paul before being acquired by Illinois-based Abbott (NYSE: ABT) last year, is one of the area’s largest medical device companies, along with Medtronic (NYSE: MDT). Statewide, the medical device industry employs nearly 30,000 people, according to the Minnesota Department of Employment and Economic Development. 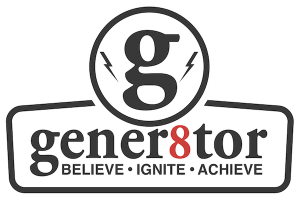 Gener8tor says in a news release that gBETA Medtech will enroll companies developing “healthcare products for diagnosing, treating, and/or monitoring diseases or medical conditions.” Those products could be medical devices, software, or systems that combine the two. Startups that seek to make the healthcare supply chain more efficient are also eligible to participate in gBETA Medtech, while pharmaceutical companies are not, according to the release. Monday’s announcement follows last month’s news that Gener8tor plans to launch a gBETA program in Cincinnati. It’s working with Brandery, an organization in the city that supports startups in the consumer packaged goods and marketing sectors. —ExpressionMed: medical tape designed to help keep wearable devices in place and be more visually attractive than competing products. —Kobara Medical: seeking to commercialize devices to help patients manage heart rhythm and address heart failure. —NeuroVASx: developing therapies for treating cerebral aneurysm and stroke. —Quench Medical: developing inhalers and other handheld devices to help patients with lung conditions, such as asthma, manage their symptoms. —Soundly: has developed a mobile game designed to help users reduce their snoring.